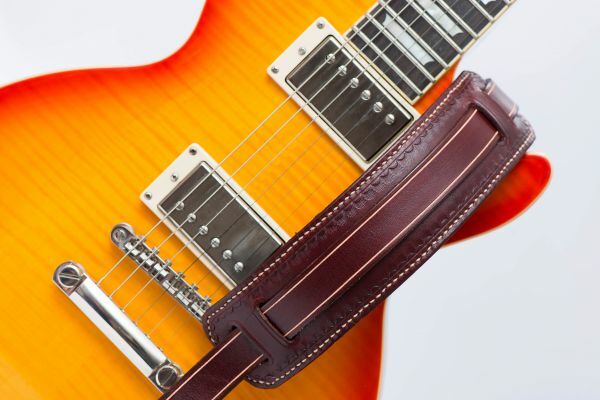 Guitar's straps made of high quality Florentine leather , colored with natural pigments, handmade. This Guitar's straps is made with resistant Tuscany leather in vegetable tanning, colored with natural pigments, cut and sewn by hand. The shoulder strap 30 cm long is padded with soft leather, allowing a comfortable support on the shoulder. The adjustable belt through the buckle, reaches 130 cm in length. 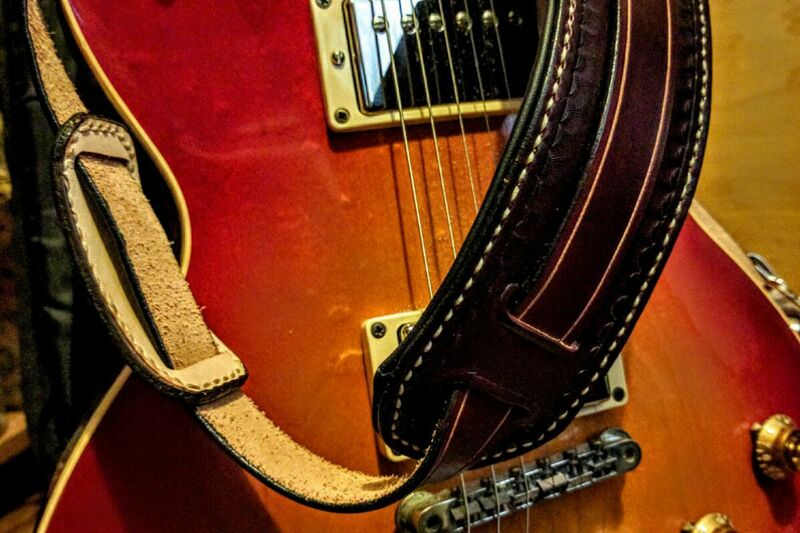 Tooled guitar's straps, sewn and decorated by handmade.